These geoglyphs can be found 5 km south of Palpa, Peru (14°35'31.80"S 75°12'11.47"W). 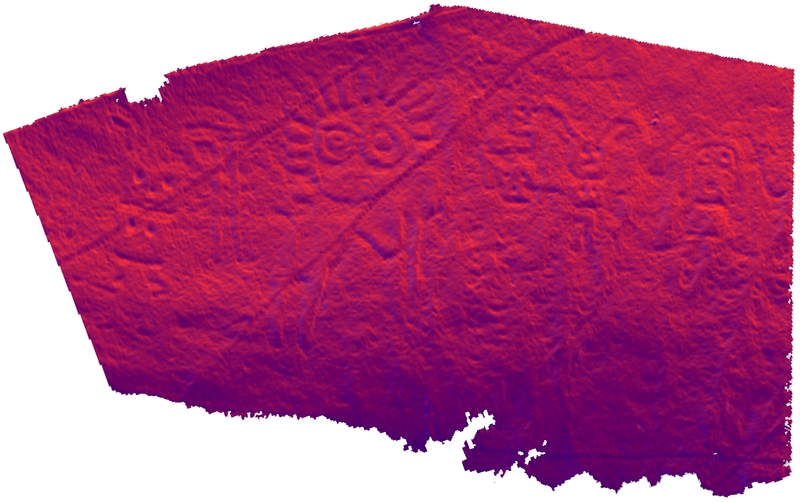 Having been drawn onto the earth in the Paracas-era, they now were 'redrawn' in a 3D point-cloud of some 13,500,000 measurements by means of terrestrial laser scanning, visualised here as an overlay of relief shading and terrain slope. There is no scale on purpose: Behold the gathering of old times and cutting-edge technology without knowing that the eyes of the 'Ser Oculado' are 3.5 meters apart!